Change your calendars. The premiere date for Feed the Beast has been rescheduled, AMC announced today. 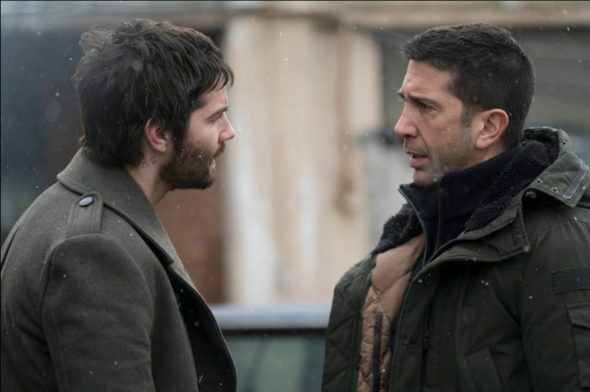 The series stars David Schwimmer and Jim Sturgess as two best friends who try to open a restaurant in the Bronx. Feed the Beast will now debut on June 5th at 10 p.m. ET/PT. The move will bring an unforgettable night of original programming to AMC, take advantage of the escalating anticipation and lead-in potential of “Preacher” and will also offer viewers two full hours of “Feed The Beast” two days later when it arrives at its regular Tuesday night time slot on June 7th. On that night, viewers will be offered an encore of the show’s premiere episode at 9 p.m. ET and its all-new second episode at 10 p.m. ET. “Feed The Beast” had previously been scheduled to premiere on May 31st.